You know how to sew but you've never quilted? This is the class for you. In this session, you will learn proper cutting techniques, stitching, pressing seams, and trimming to achieve a crisp professional look. 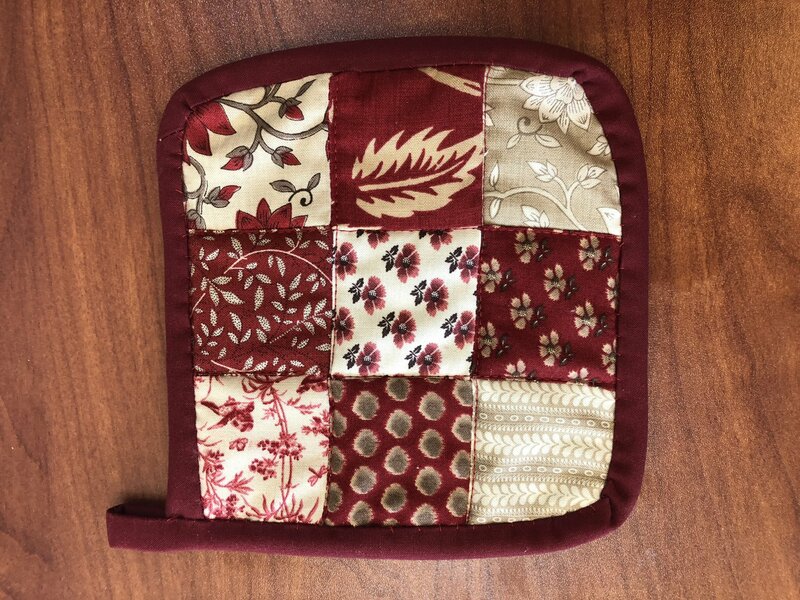 Using a nine-patch design, you will complete a useful potholder. If you have a sewing machine, please bring it. All other materials are included. Requirements: If you have a sewing machine, please bring it.